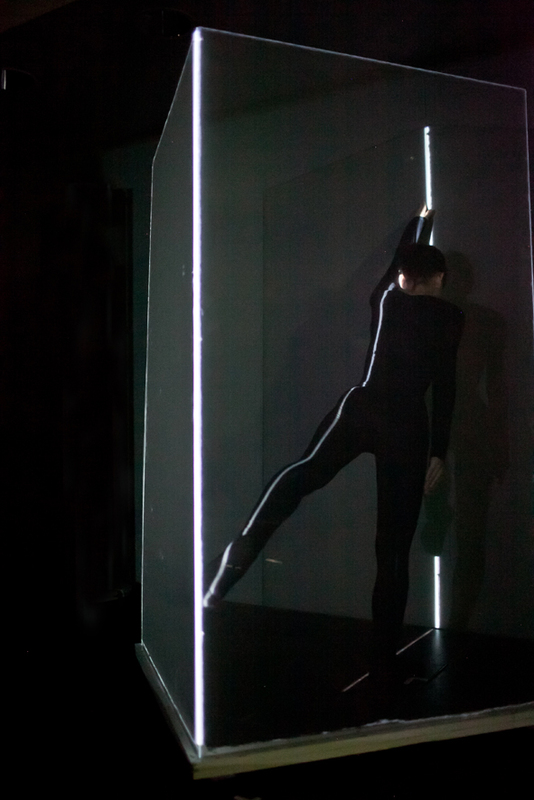 The Measuring Series by Deng and Drcar explores the relationships between space, time and the human form in motion. 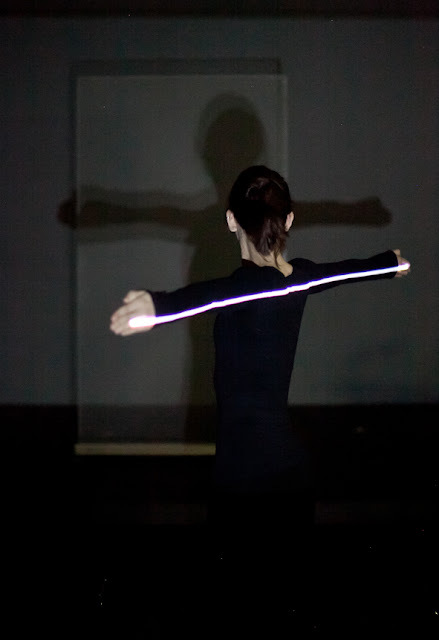 During the performances the duo articulate their bodies in reference to geometrical forms projected onto a thin fabric. Navigating a series of gestures informed by the projected light the performances become an exploration into how we relate to space bodily. The formalism of the almost roboticized movements contort the organic form of the body into a series of poised instances which have a relationship to its surrounding architecture.